The 145th McLeod County Fair wants you for the 38th Annual Talent Contest. All first place winners are automatically entered as a semi-finalist representing McLeod County at the Minnesota State Fair Talent Contest! All ages are encouraged to enter. Now is the perfect time to visit www.mcleodcountyfair.com and register for the Amateur Talent Contest Sunday, August 20th at Noon. Entry deadline is Monday, August 14th. Enter as a Fine Art Exhibitor at the McLeod County Fair! Display your work under amateur or professional divisions. 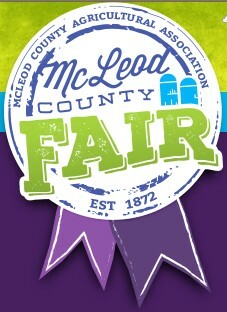 Head over to www.mcleodcountyfair.com and enter your work into the fair exhibition space. Online Entry deadline is Saturday, August 12th.